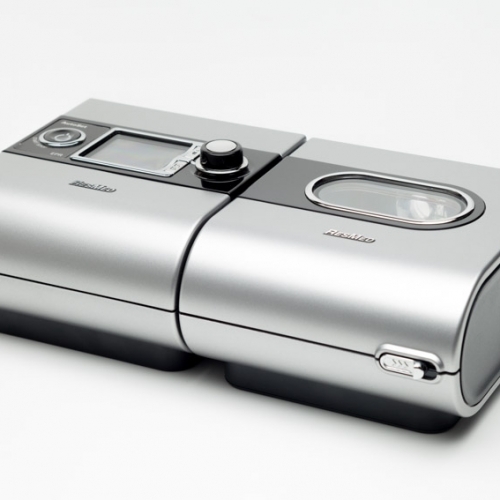 The ResMed S9™ series offers an intuitive, colorful, and stylish look. With four clearly marked buttons and a large color display, adjusting settings has never been easier. A large push dial allows you to scroll through screens and make changes easily. The large color screen allows you know where you are scrolling and what setting you are adjusting by changing colors. The info button allows you to view compliance data and reports with a single push, and the large start button offers an easy one touch start. 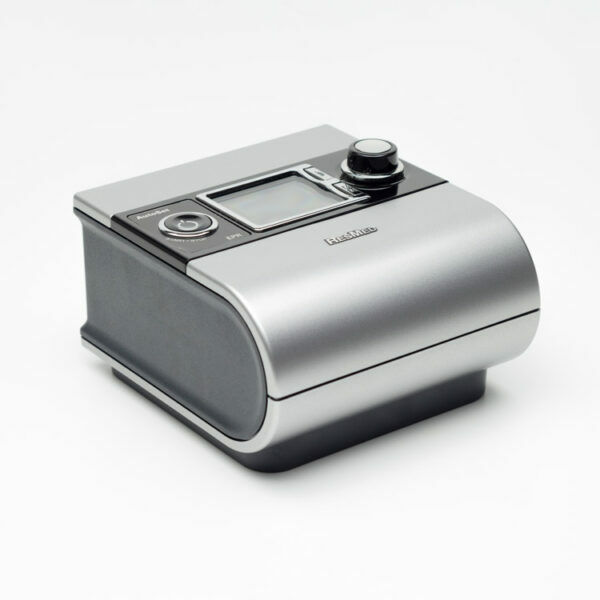 The sleek low profile design makes your CPAP look less like a sterile medical device and more like a standard bedside clock radio, further encouraging you to be consistent in using your therapy. 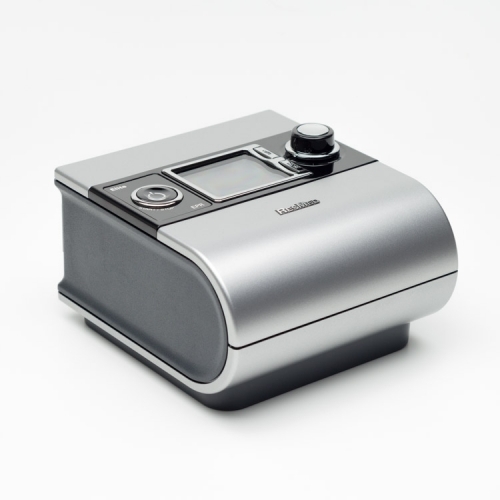 The S9 AutoSet™ combines an intelligent algorithm with Easy-Breathe expiratory pressure relief (EPR™) to dynamically adjust pressure for maximum comfort. 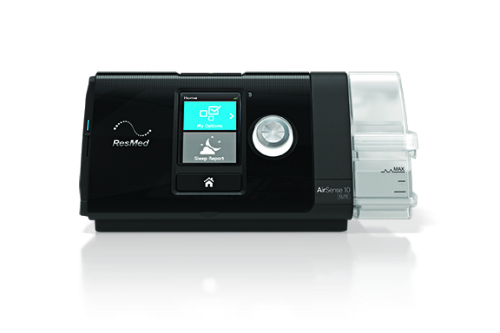 Using ResMed’s time-tested APAP technology, AutoSet continually monitors breathing, adapting breath by breath to always deliver the lowest therapeutic pressure, improving comfort and sleep. The S9’s enhanced AutoSet™ algorithm now differentiates between obstructive and central sleep apneas (CSA) and responds appropriately. You can be confident that you’re always receiving optimal therapy at the lowest, most comfortable pressure. 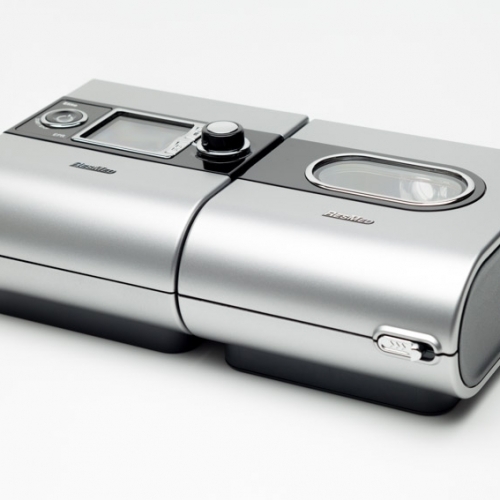 ResMed introduces its new SlimLine™ Tubing with the S9™ series machines. Exclusive to ResMed the SlimLine™ Tubing is 40% lighter, 20% thinner, and takes up 35% less space. Providing more flexibility and less drag with light weight materials, the SlimLine™ Tubing promises to be a favorite among CPAP users. In addition to this, ResMed introduces a smart-fit cuff design that makes it easier to attach and remove the tube from your mask and machine. Both the S9 AutoSet™ & the S9 Elite™ have CSA and OSA detection. The enhanced Easy-Breathe motor features small diameter lightweight impellers that provide lower inertia. This enables the motor to track your normal breathing waveform and produce the small oscillations in pressure required to detect CSAs. It uses the forced oscillation technique (FOT) to determine the state of the airway during an apnea. When an apnea is detected, small oscillations are added to the pressure to measure airway patency. The CSA algorithm uses the resulting flow and pressure to measure airway patency and differentiate central and obstructive events. Your S9 AutoSet has the ability to compensate for these events with its enhanced autoset algorithm. All the S9™ series machines come with onboard and removable data storage. With a touch of the info button you will see a snapshot of your therapy. Data is stored on board for up to 365 days and includes average usage, used hours, days used, run hours, pressures, leak and AHI information. 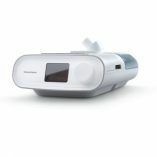 The removable SD card provides detailed graphical data and high resolution flow data that your physician can read.